Fair Value of Coco (2017): $7.00. 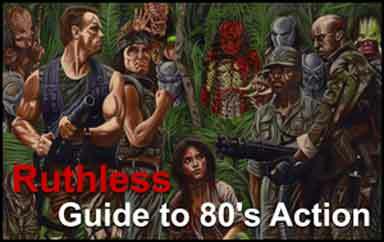 Purely upon its own merits, and viewed in a void, I’d say this is a $20.00 film. But I’m cutting my score by half for the context of appropriation without accreditation, and another deduction for the subtext of the film. This is a film that I liked the more the less I thought it about, and hated the more I stopped to think about it. Check your mind at the lobby and it’s a great piece. How Many Margaritas Will I Need to Get Through This Film? Two stiff drinks- just enough to weaken your emotional callusing, so that you can laugh at the laughy bits, oooh at the ooey bits, and weep at the tearful bits. Saturday Night in the City of the Dead: Poor Miguel, scion of a clan of cobblers in an anonymous and anachronistic village.But in some nostalgic PRI era neverland, Miguel’s great longing is a song in his heart that he can never let out. Because of some unknown ancestor that abandoned his great-great-grandmother, his tias y abuelitas have forbidden all music in the family. His heart is set upon following hometown hero Ernesto de La Cruz, Mexicos most famous musician (where’s Vicente Fernandez? Juan Gabriel? Galindo?). To that end, he travels to the tomb of de la Cruz, whereupon, stealing the enshrined guitar, Miguel finds himself the land of the dead. The land of the dead is a vivid and richly colored endless hyper-polis, inhabited by festive skeletons and electric neon nahuals (animal spirits). Along the way, we get the most easily digestible crumbs of Mexican cultura- theres Frida Kahlo, theres El Santo! The economy of the afterlife is Ofrendas and remembrance- those souls who are forgotten by the living disperse into gold dust. If Miguel does not find an exit to the land of the living by dawn, then he too shall be forever dead and disappeared, a ghost along with the other ghosts of his families. 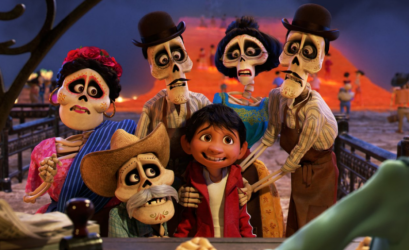 La Cultura de Craneos: I find it notable that the villain of Coco is a plagiarist; after all, Coco is a classic act of cultural appropriation. It borrows heavily from the style and story of 20th Century Foxs The Book of Life, as well Lucas Arts Grim Fandango, Tim Burtons The Corpse Bride, also Beetlejuice, and Anima Estudios La Leyenda de la Llorona. And of course, Disney is seeking the trademark and copyright on the phrase Dia de Los Muertos. That’s right, Disney’s hoping to be able to charge a buck anytime somebody mentions a week of cultural celebration that has roots stretching beyond the record of history. Both the art of making and critiquing children’s films is more challenging, because it has to be a multi-planar approach. With most films, you have possibly two, or at most three audiences to cater to, and to address: the general audience, the genre audience (aficionados of that genre, oeuvre, or auteur), and the source audience (fans of the original work that the film derives from). With children’s films, you have to have a film that works simultaneously for a range of different intellects and stages of development. A children’s film has to be simple enough for a five year old, exciting enough for a ten year old, and sophisticated and wry enough to not exhaust the patience of parents. So it will be great for young kids. The songs are great and regular, the spectacles bright and striking, the villains craven and un-frightening. Who ever knew that death could be so fun? But this is guesswork on my part, gathered from peer anecdote. For adults, its still something that you haven’t seen before, assuming you haven’t seen much outside the borders of American animation. To a more worldy cineaste, Coco measures well against Tsui Hark’s Xiao Qian, Miyazaki’s Sen to Chihiro no Kamikakushi, and the 1998 Robin William’s flop What Dreams May Come. 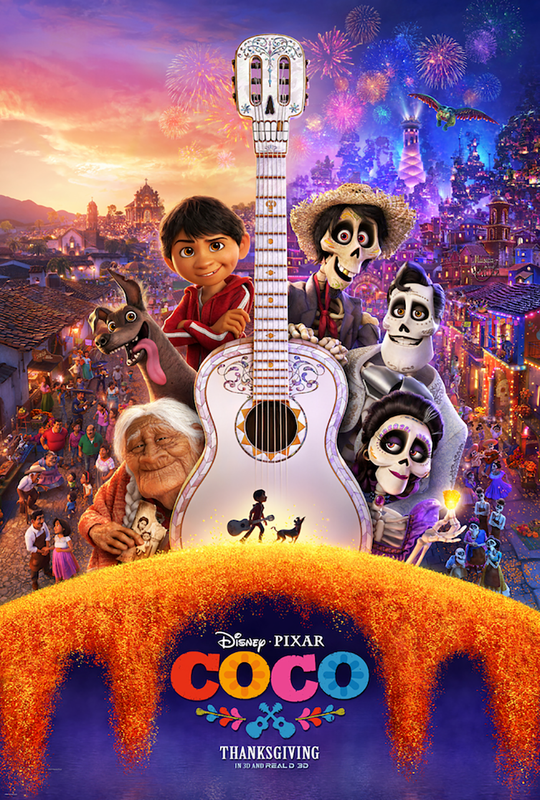 Songs from the Big Mouse: Coco is a John Lassater production, under the Pixar Studio, a subsidiary of Disney. Children’s films are the greatest cash cow of cinema- with adult films, you might cajole a date or a friend, but childrens movies, to use a military analog, are force multipliers, where one viewing parents decision turns into 4-6 tickets, rather than 1. Also, children’s films are conducive to big and simple emotional stories, and thus translate easily across cultures. This is important in a global market. So it is natural, as the most profitable genre, that Disney is growing into the biggest Mouse of all, swallowing up schools, and possibly even 20th Century Fox (or at least, the idea was considered). I think the end game for Disney is to eventually be the corporation that has a monopoly on the experience of childhood. Parents reading this, tell me: is it possible to raise children without exposing them to Disney media? Either in the USA, or worldwide? Anyways, the derivative of this is that the machine (the studio) is the top of the line. Like 1st tier law firms, or Apple Computers, they can mill the finest talent, grinding them at 80 hour weeks, and still expect the premium of their brand to attract the next cohort to be burnt out in the next business cycle. The organization is the process. And in this case, the organization has scientific precision, dedicated to only the most universal and positive messages that can be expressed. And in the case of Coco, its a real crowd-pleaser. Its already the highest grossing film ever in the history of Mexico! That’s cultural imperialism in top form. Between Coco and Big Hero 6 (Japan), I think were going to see a lot of Pixar films doing ethno-tourism- perhaps a repackaging of Indian, or Middle Eastern, or Brazilian culture next (all big demographic markets), Given the box office success, I think this trend is going to hold steady for now and the next decade. A Real Family Values Film: In my earlier review of Blade Runner 2049, I discussed the concept of a meta-organism: a super-organism that used individuals or animals in the way that our bodies use cells. I suggested the idea that corporations are accelerating into the dominant meta-organisms of the planet, essentially hacking and using our own desires to make us fungible and disposable to the higher goals of corporate growth and merger. Clans may have been the original expression of the human meta-organism. Note that I say clans, to make a distinction from family. Animals may have family groups, which exist in terms of immediate relations (between living kin). A clan, in this essay, is a memetic concept of an identity as a component within a larger meta-organism, as communicated through social interaction. The clan may be a strategy to prioritize and advance a genetic imperative. This distinguishes it from super-ceding meta-organisms (Churches, States, and Corporations), which only have an interest in expanding the aggregate population under the dominion of the meta-organism. Coco might be one of the most subtly conservative films ever made. The core moral of the Coco is that loyalty to the family should be superior to careerism and the pursuit of artistic individuality, and that the individual should sublimate to the collective needs of the family. And is that message ever laid on thick. On the one hand, it’s wonderful to have a film that goes beyond the immediate family, where ancestors and uncles and grand-parents are all realized and important characters. But Coco feels the need to endlessly repeat the moral, again and again. The more I think about the subtext of this film, the more I become revolted. Why is it that Remy the Rat (Ratatouile) and Lightning McQueen should chase their artistic dreams, but Miguel’s ambition is selfish? Catharsis- A release of emotional tension after an overwhelming vicarious experience. Feurproben n. The act of experiencing a psychically overwhelming or traumatizing work in order to become emotionally calloused to experience a hypothetical future instance of trauma. I am not a critic that argues a theory of Art for Arts sake. Instead, I’m a utilitarian aesthete, arguing for the value of art as a conduit to deeper states of emotional and intellectual comprehension and appreciation. Cinema, as a medium that expresses drama, also has a value beyond catharsis, feurproben, or anakoufisis, and that is the ability of the dramatic experience to provoke what I call dramatic inspiration. Our minds are parallel processors- our thoughts are two simultaneous and divergent streams, one the rational, and one the emotional and instinctual. It is more frequent that we live in a condition of cognitive dissonance, than in a condition of cognitive synergy. The Eureka! moment, or Archimedean inspiration, is that moment when a rapid dis-junction in states enables us to reach an inspired and novel solution to a previous problem. Dramatic inspiration in the circumstance where the interaction of fiction and reality enables us to bridge the gulf between the two tracks of our cognition, and thereby achieve a state of higher analogic or metaphoric reasoning. Essentially, interaction with the dramatic work enables us to develop new metaphors and analogies, which in turn allow us to sound the inchoate, grasp the intangible, and view the invisible. Dramatic inspiration enables us to reach new tiers of cognition and consideration for the world around us, the world which is otherwise invisible and inscrutable during our routine existence. Coco is not without deeper value. It will provoke you to think long and hard about your familial relations. Concluding Remarks: There will always be the question of whether to assess a work hermetically, that is, purely within the merits of the piece, or to assess a work holistically, within the greater context of the moment and the system that produces the work. Viewed in a hermetic critique, Coco is a terrific film, wonderful cast, art, music. Viewed holistically, Coco is a prime demonstration of the terrific efficiency of capitalism in appropriating and commoditizing culture. I’d recommend The Book of Life, or better yet, La Llegenda de La Llorona. Then watchCoco, and note the evolution of the niche.